Welcome to the first edition of Yogability’s new blog. We’ll be keeping you up to date with the inner workings of the Yogability team, feedback from our yogis, our clients thoughts on all things Yogability and what goes on behind the scenes with our fundraising activities as well as some yoga information and chat. Yesterday was Day 1 of training for Tough Mudder. Debbie and I foolishly stupidly bravely decided to take this challenge on as a fundraiser for Yogability as well as a personal challenge for us both. Excited, we both planned what we could do together to train for this awesome event and what we would do separately. 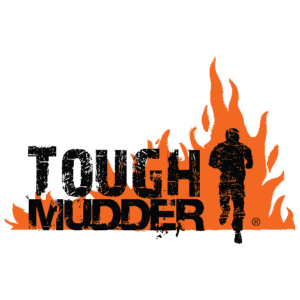 Looking through the event website, I found a series of video clips, showing what was in store for us in June, and the training we should undertake to make sure we were strong enough and in the right physical shape for 12 miles of mud, obstacles and challenges. The first video, aptly named The Block Ness Monster, made me realise that, however fit I thought we might be, we’d need to seriously up our game if we were going to complete this course. So, clutching my computer, logging in to Amazon, I found myself buying enormous elastic bands, hoops and straps, all designed to help get me into fighting fit shape, as per the advice of Tough Mudder Trainers. Having had a pull up bar installed for some time, it frustrated me somewhat that, despite being able to do push ups, I could not for the life of me succeed in one single pull up. And this is where the advice for the training equipment comes in handy. Using a giant elastic band, they come in different weight sizes, it assisted me in pulling myself up and I managed 5 and a half (the half is important….) before crumbling into a heap. But still, from little acorns, big oak trees grow (or muscles). Day 1 of training consisted of a 5.5 km walk which took just over 50 minutes, 20 ring pulls, 10 flutter kicks, 5 full push ups, 5 with my knees on the floor and 10 planks with knees to elbows. No pain or discomfort today. Debbie and I will give weekly updates on our progress. If you’d like to sponsor us, watch this space for the link to our fundraising page. If you’d like to join our team, we’d be delighted to have you on board. Just get in touch.